If you've spent years wearing eyeglasses and/or contact lenses despite a personal aversion to wearing something on your face or putting something in your eye, you may be intrigued by the idea of corrective surgery that enables your eyes to see clearly without such devices. LASIK surgery (the acronym stands for laser assisted in situ keratomileusis) may be exactly what you need, but first you must understand exactly what the procedure entails, whether you're a good candidate and what to expect. Here at Austin Vision Center, our optometry team can provide the necessary patient education and LASIK co-management to optimize your experience. LASIK surgery alters the way your eye refracts incoming light inside the eye for visual processing by the retina, optic nerve and brain. This is necessary for people who suffer from common refractive disorders such as myopia, hyperopia and astigmatism. An eyeball or cornea that is too elongated will cause the image too focus too far ahead of the retina, while a foreshortened eyeball or cornea will cause the focus to come to together at an imaginary point behind the retina-- both of which result in blurry vision at different distances. An oddly-contoured cornea may also cause astigmatism. Eyeglasses and contacts were the only way of correcting refractive errors until modern surgical techniques such as LASIK came along. The extreme precision of the laser is what makes LASIK surgery possible. The beam creates an extraordinarily fine incision in the outer cornea, allowing this layer to be pulled aside as a flap. The beam then vaporizes a precise quantity of underlying corneal tissue. When the flap is replaced, the cornea now has the correct contours to compensate for your refractive error, giving you sharp, clear eyesight without corrective lenses. Our Austin optometrist Dr. Mark F. Hutson, can aid and advise you every step of the way through comprehensive LASIK co-management. 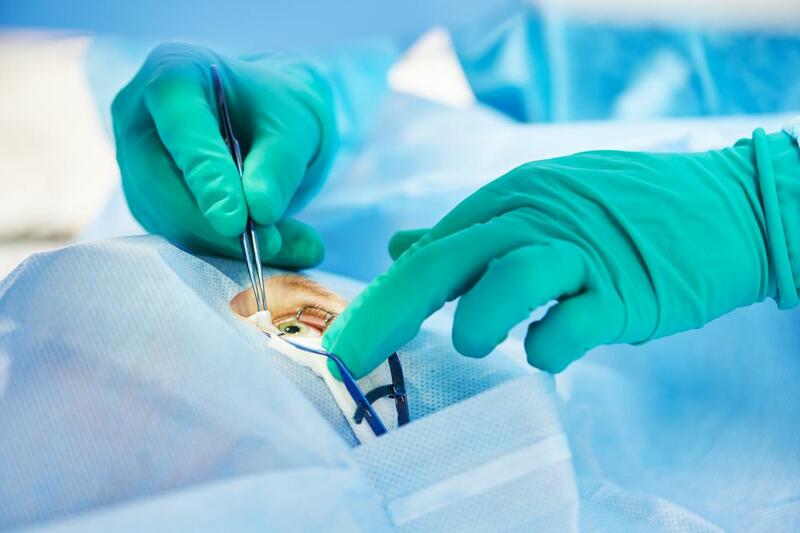 On the pre-operative side of the process, we can administer careful evaluations to determine whether you are a good candidate for this type of surgery. For example, if you have unusually thin corneas, we may advise you to consider an alternative to LASIK surgery such as PRK (photo refractive keratotomy). Certain eye diseases and an extreme or unstable corrective lens prescription may also lower your odds of good results. We will help you make the right decision. If you're a good candidate for LASIK, our optometrist in Austin will perform a series of detailed corneal measurements so our eye surgeon will have the most precise data necessary for the procedure. We will then monitor your recovery process carefully through multiple post-operative eye and vision exams over the next 12 months. Your success with LASIK depends on co-management from a skilled, experienced optometrist in Austin and that's what we provide. Call Austin Vision Center at (512) 477-2282 to learn whether LASIK is right for you!